Red Tape ? NO – Safety comes First ! Sometimes we wonder why we have to do things a certain way, or cannot undertake a project the way we planned. Whilst they may seem onerous, most railway rules originate from the lessons learnt from previous accident/incidents. Basically, if a human is involved it will be screwed up somehow and sometime even if it for seemingly good reasons – getting the job done, or not bothering other folk etc etc etc. The following is a timely reminder that working near the tracks has to be taken seriously at all times – complacency can be fatal. As some of you will know, the Station Partnership members discussed this subject to some length at their AGM in December 2009. 1. Until we have safe access to the Arch, there is no-where secure to store the grit-spreaders or the grit/salt. We await Network Rail. 2. The present members are not in a position to respond to weather-warning and call-outs. It is not just the platforms ( 4 x Car lengths at least), but also the very long approach paths with variable slopes down to New Road, plus the steps. Not to be undertaken lightly, as a full snow/ice clearance and gritting will take at least 4 persons a full hour or more. So, while the contractors do the gritting etc (remember they have dozens of stations), they will not be able to do their usual station cleaning. We will, during these times, try to keep the station as clean as possible by emptying the waste bins etc. Also, it has been noted by local rail users that the train services have (with a few exceptions) run well during the winter conditions. 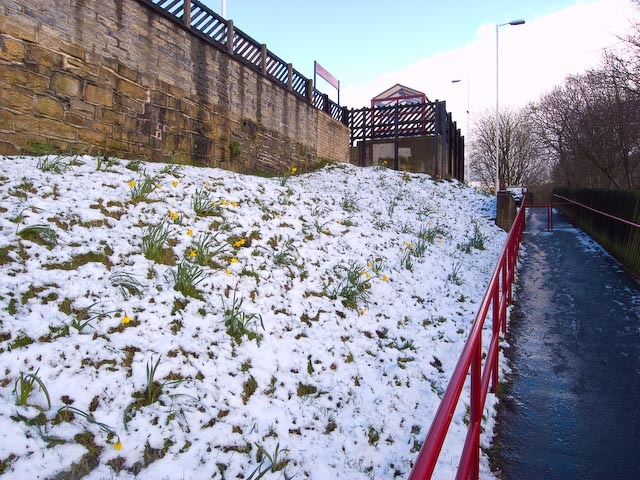 Obviously the train crews and signalling staff have managed to get through the snow and ice! For those who might be interested, the following has been sent from Northern Rail. Where access is available our treatment of platform surfaces and paths is working according to plan this year. However, as by necessity, we use road transport to visit stations, physically getting to the locations can cause difficulties for the ISS teams on the ground. In the past some Station Adopters, Friends of and Rail User Groups have undertaken to grit stations. The purpose of this communication is to see if you or your group can help out this (or more likely next) winter. We will provide you with the necessary equipment and the de-icing product, and via email an accurate weather forecast to enable you to make a judgement of whether you need to apply the de-icer or not. Although as the forecast covers a large geographical area, the final choice will be yours on the ground. 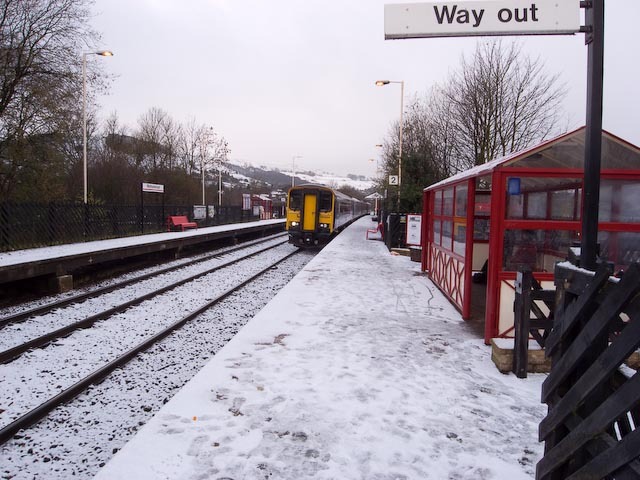 We ask you to apply grit to the platforms covering the length of services that usually stop there, pathways and walkways through car parks (although not the car park itself). We will then remove the station from ISS’s round, which would enable them to concentrate more fully on the remaining locations. I emphasise that in doing the duties you will be covered by our [Northern’s] insurance, and will not be held responsible for accidents that may occur through your actions or inactions in gritting the station. I apologise for the somewhat scattergun nature of this letter (I have sent it to those on our database whom I think may be able to help), and at this stage I am simply testing the water to see if anyone or any group is in a position to assist. Please don’t feel compelled to assist and if you have any doubts at all it is probable best that you don’t become involved with the project. However if you (or your group) can help, or have any questions, please contact me at the above address (contact me FS)(email will be quickest) and I will take things forward. There is no need to make contact if you are not in a position to help. Finally as there is a real shortage of rock salt and applicators currently (little wonder considering the weather), so don’t be surprised if we do not contact you straight away, as this is a long term project and may not come to fruition until next winter. If there is anyone willing to do this on a voluntary basis, please let us know – phone Geoff on 885154.